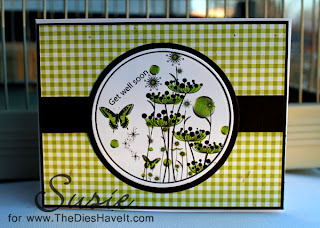 Just a quick little post to share this cheerful get well card. The digital stamp is from Bugaboo Digi Stamps. I printed it with a black inset border and then matted it in black cardstock. The coloring on this is so very easy. You can make the image any color very quickly and add a few pearls or Stickles for accents. 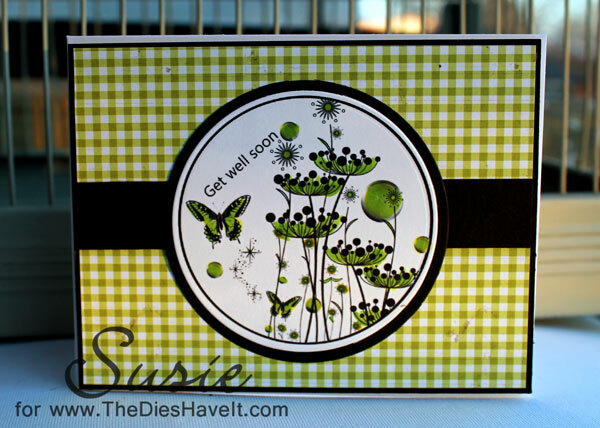 This is a great design to keep on hand for when you need to send some get well wishes. I hope you have a lovely day. I'll be right back here tomorrow and I'll see you then. This is a beautiful card. I am going to checkout the digital stamp you used.